Anti-wrinkle injections, more commonly known as Botox, are a treatment that works to reduce the appearance of wrinkles and lines. The lines and wrinkles (such as crow’s feet) are a natural part of the aging process, but they’re very easy to treat. After anti-wrinkle treatment is complete, the lines and wrinkles smooth out, resulting in a more youthful appearance. The natural protein, Botulinum toxin, is injected into a targeted area on the face to even out the skin whilst removing creases, wrinkles and fine lines. The procedure is quick, effective and doesn’t involve any anaesthesia. Who is Suitable for Botox? Botox is available for both men and women and provides a wrinkle free, youthful image without the use of surgery. The injections cause the muscles in the face to relax and stops them from contracting, resulting in a smoother appearance. This is an effective treatment for anyone looking to temporarily remove wrinkles and lines that come with age. Anti-wrinkle injections are ideal for anyone who wishes to treat their wrinkles without choosing an invasive surgical procedure. The results commonly last between 3 to 6 months but may last much longer for some people. After the initial treatment wears off it is safe to repeat the injections if desired. Crow’s feet and lines around the eye area. Wrinkles around the forehead and eyebrows. Where wrinkles have been caused by repetitive facial expressions. The anti-wrinkle injections consist of Botulinum toxin, which is a natural protein that is only available by prescription and should always be administered by a trained professional. The protein is then injected into the desired area. The injection is relatively pain free and additional steps to ease any pain concerns can be taken, such as using numbing cream on the skin before the injections are both popular choices. 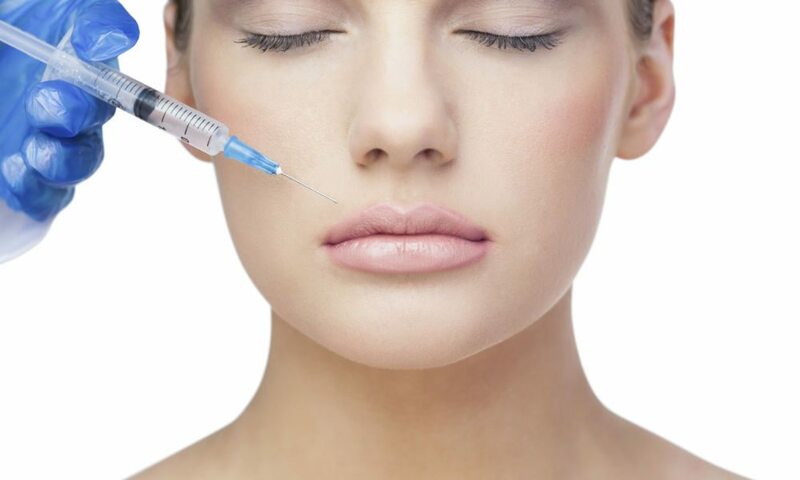 Once the skin is suitably numbed, the Botox is injected into the area where it begins to work. The full effects take up to 7 days to achieve but many people see a change within the first 48 hours. The quick nature of anti-wrinkle injections makes it possible to receive the treatment on a lunch break! Get in touch to book a free consultation to discuss Botox treatments. Costs are provided at the consultation as prices vary depending on the areas being treated. A deposit is required if you decide to book an appointment for anti-wrinkle injections. Please be wary of advertisers offering discount Botox. Often these services are provided by untrained individuals. Botox must be administered by fully trained medical professionals. If in doubt, always ask to see your practitioner’s credentials. Katie Alex is a fully-qualified Aesthetic Nurse, with over 10 years of experience in medicine. Her extensive training and experience means she possesses an in-depth knowledge of anatomy, physiology and facial structure. She understands how to make aesthetic treatments work perfectly for you, so that you leave the clinic feeling fantastic. Katie is an advocate for subtle, natural and beautiful results, and will always endeavour to ensure you don’t look like you’ve had any ‘work’ done, just that you have the youthful glow you’ve always wanted. So if you live in Hale, Cheshire or the surrounding area and want to find out more about anti-wrinkle injections, or to book your free consultation with Katie Alex, call the clinic on 0161 989 1211.